The past days were a good opportunity for skeptics to consider that the current Bitcoin price rise as a “new found bull momentum”, the cryptocurrency is up with 9% compared to the last week and more than 2% in the past 24 hours (at the time of writing this analysis). The current scenario is leaving space for a major increase, as moving above the 7000 USD barrier was a reason strong enough to reassure investors that they are in the right game. If the Bitcoin bulls and keeps the price around 7200 USD for a longer term, proving short sellers wrong, it has all chances of heading towards 8000 USD and beyond. During the past week many key developments of other altcoins were announced and even implemented, keeping the market positive about cryptos. The last 48 hours were not lacking some negative news as well, the latest being about BitFi. 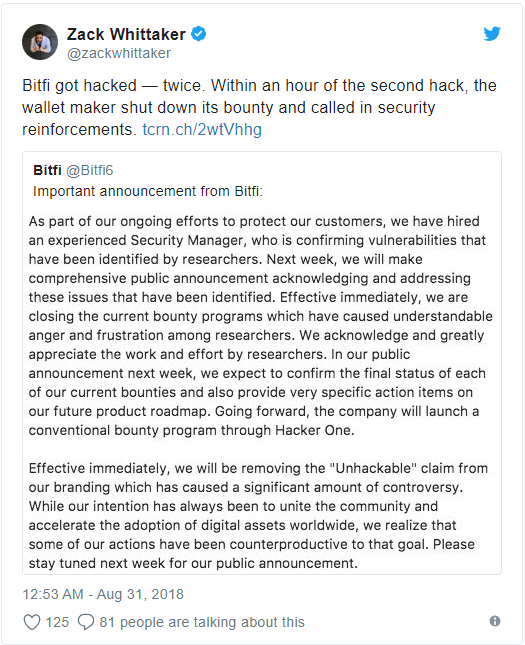 Even if lately backed by John McAfee, the BitFi self-stated “unhackable” exchange has been compromised twice, closing down its bounty and asking for security reinforcements. This news had an influence on the BTC price, influencing the resistance trend line. Traders are still curious about the SEC decision regarding the Bitcoin ETF applications as this might be the next huge promoter of the cryptocurrency. This aspect is reflected also in the price increase as it is being seen as an appealing (at least) short-term investment opportunity. If approved, stronger trading volumes and higher activity will be assured for many months ahead. Another aspect encouraging an increasing trend was the geopolitical context (news about Iran launching their own government-backed cryptocurrency, Venezuela massively adopting DASH etc.) which has induced a larger appetite for investing in cryptos and especially in Bitcoin. 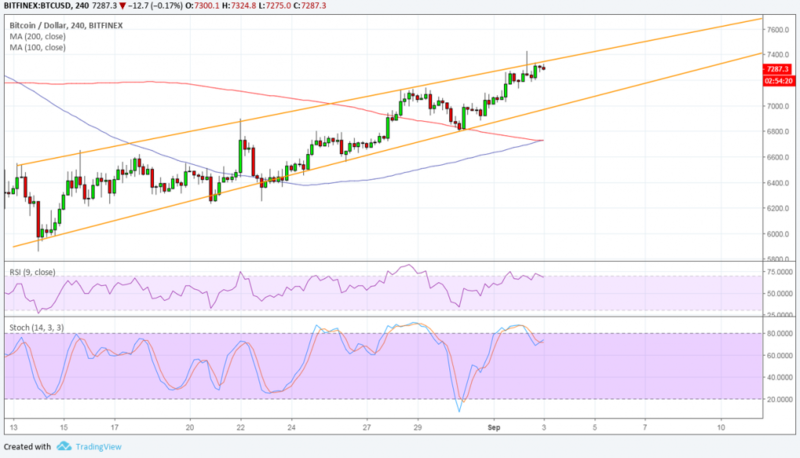 New further recoveries are strongly anticipated for this following week, but a scenario where the Bitcoin value is stabilizing around 7500-7800 USD is desired, shaping this way the upper edge of a long-term descending wedge. If you consider becoming part of the Bitcoin world, we can recommend you BitCanuck’s trading services, where you can register and start investing just within minutes. Our dedicated 24/7 customer support is here to help.